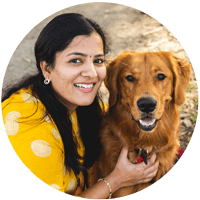 I am back with my blogging marathon and this week’s theme is “One appliance and 3 recipes” and of course I picked slow cooker as my appliance. 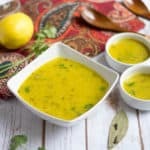 It’s been long time since I posted any slow cooker recipe. 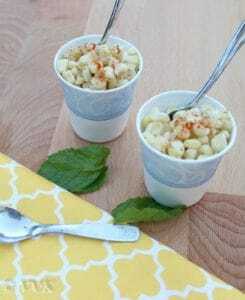 So to balance that, I am going to post back to back slow cooker corn recipes for the next few days. 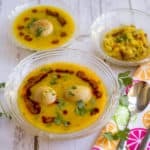 I think this summer, I posted quite a few summer specials including popsicles, ice-creams, lassi and of course mango recipes. But I missed out corn recipes and also some of the summer grilled recipes. 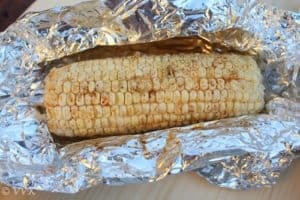 I know I need to shovel the grilled recipes for later but still there is time for corn recipes that are perfect for both summer and winter. 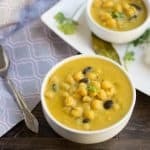 So I am going to combine two themes and call it as, “One appliance, One Veggie and 3 recipes” and post all crockpot-corn recipes. If the aluminum foils are not pre-cut, cut them into A4 size sheet or little bigger than that. 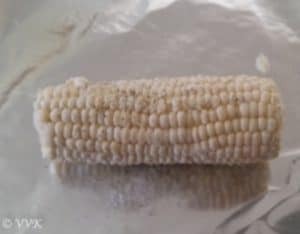 Remove the silky fiber of the corn and clean them. Pat it dry. 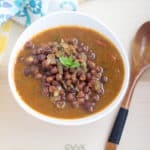 Mix a tsp of gal jeera masala, red chilly powder and chaat masala along with salt and set aside. 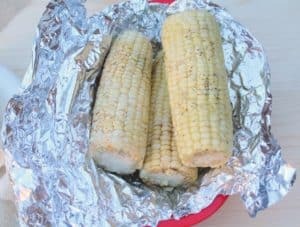 Place the corn in the middle of the aluminum foil. 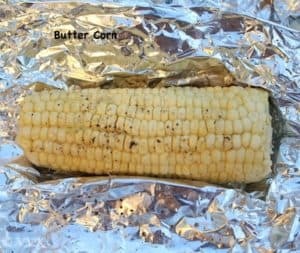 Spread the butter on the corn generously. 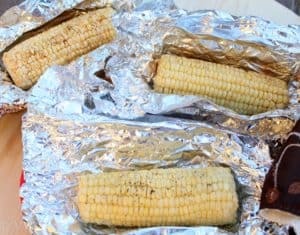 Brush about 1 tsp of olive oil all over the corn. Now sprinkle the masala mix (Paprika, salt, chaat masala, jal jeera masala) all over the corn. 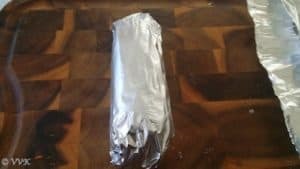 Now tightly wrap the corn in the foil. 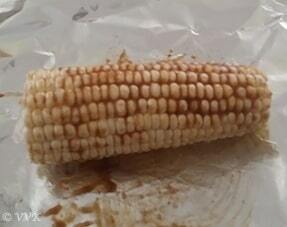 Brush about 2 tsps of sweet chutney all over the corn. Sprinkle salt and black pepper and tightly wrap the corn in the foil. 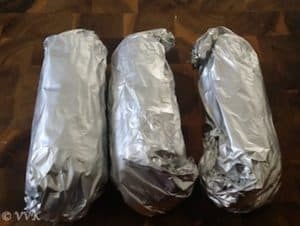 Please all these wrapped corn in the crockpot. I set it on high mode for 2 hours and after that set in warm mode for about 30 minutes. If you are setting in low mode, you can slow cook for about 5 to 6 hours. 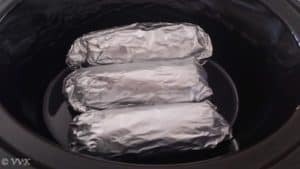 After it is cooked, let it cool down for about 15 minutes. As I mentioned above, there is no set measurement. Please adjust all the ingredients more or less as per your preference. 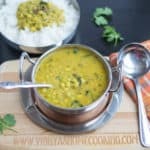 Indian Flavored Corn Steamed in Slow Cooker | Crockpot. 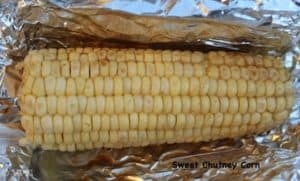 Recipes for Butter Corn, Spicy Masala Chaat Corn, Sweet Chutney Corn recipes. 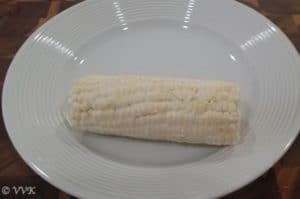 De-husk and also remove the silky fiber of the corn and clean them. Pat it dry. That’s an interesting way to make corn. 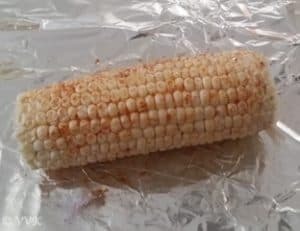 Love all your versions of corn on the cob. 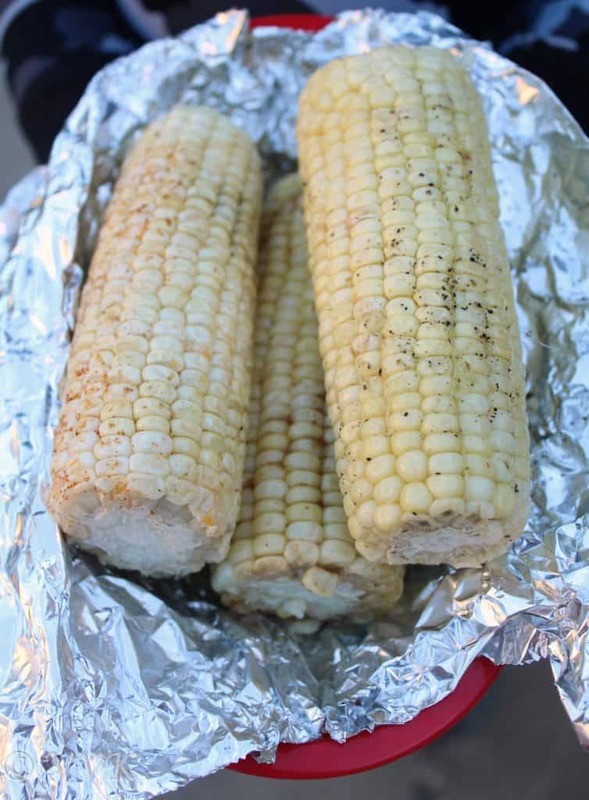 You are tempting me to make some rite now, can see corn on the cob in markets now. Love this to the core. Thanks Priya.. Please do try it out. What a fun way to cook corn. I would never have thought of using a slow cooker. I especially love the sweet chutney version. Thanks a ton. :-)Welcome here. That is a cool way to use a crockpot. :-) Thanks and plz do try. Thanks :-) Will hop on to yours soon. 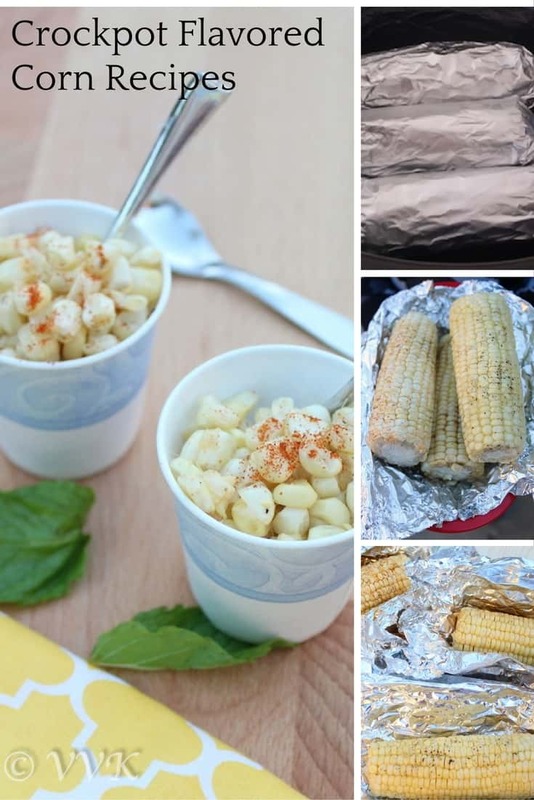 corn is all time kids favorite!